Need a way to shut up some snooty kid when he gloats about his private school? Looking for the perfect response when your best friend joins the grammar police? Want a quick and easy way to out-snap even the snappiest comeback? 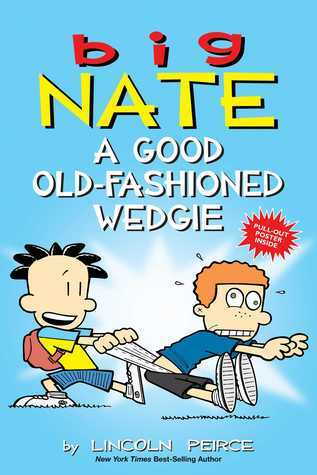 Nate Wright has the answer: a good old-fashioned wedgie! The whole gang from P.S. 38 is back for more hijinks, hilarity, and underwear hoisting in this new collection of Big Nate comics. Can Chad somehow survive on a diet of kale and soy nuts? Are Jenny and Artur EVER going to break up? And how is Nate supposed to concentrate on baseball when he’s got a crush on his team’s new pitcher? See for yourself! Join Nate and the rest of the crew for another unforgettable round of middle school adventures!